Several quality and many features are attributed to the evening dress because it is a dress formal which is the beauty and the elegance of a woman. All components of the evening dress play a role in this magnificent result, including decorations and folds on the evening dress. In the chouchoudress evening dresses collection, there are models of evening dresses made up half or on their surface folds very graceful and beautiful. On the bust size or on the skirt folds on the dresses are always so beautiful when they are well placed and well designed. Wrinkles represent a large part in the dress because it is both a component and a very significant ornament. And some women largely prefer evening dresses made with fold as other ornaments such as ribbons, belts or rhinestones. In comparisons with other styles of evening dresses, formed folds dresses are more feminine and more sensual with a very visible smoothness. Moreover, the folds of the robes give a more sophisticated and especially modern aesthetics thanks to the contributions and developments made by fashion designers and the current fashion. There is therefore a safe value on pleated evening gowns. In any case, it is best in the style of modernity and the couture evening dress ornament. Looking for a dress evening which will give you a great feeling of well being and a feeling of perfect femininity, this green dress at junction of chouchoudress is for you. An evening dress will be for the woman who wants to impress everyone and she will be to impress the result by choosing to buy this model of evening dress. An admirable green long evening gown comes in the evening dress of chouchoudress 2013 dresses collection. 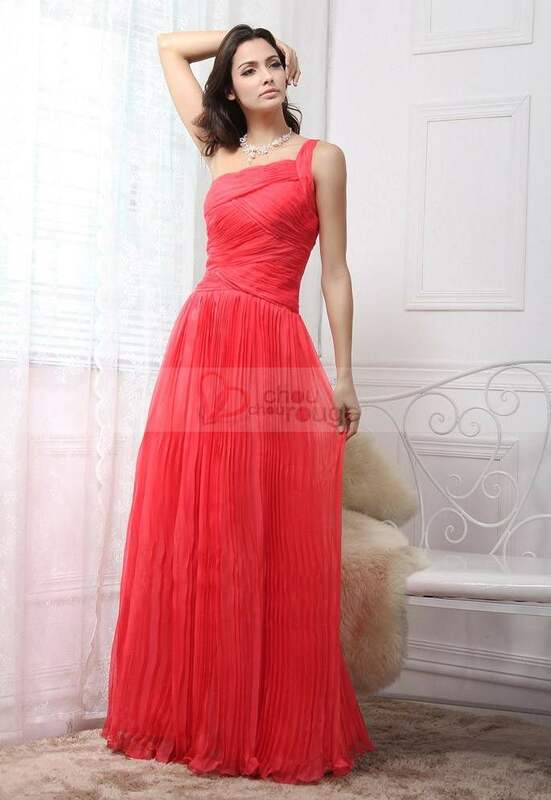 It is a beautiful dress with all the attributes and benefits of an evening dress with pleats on the bust. 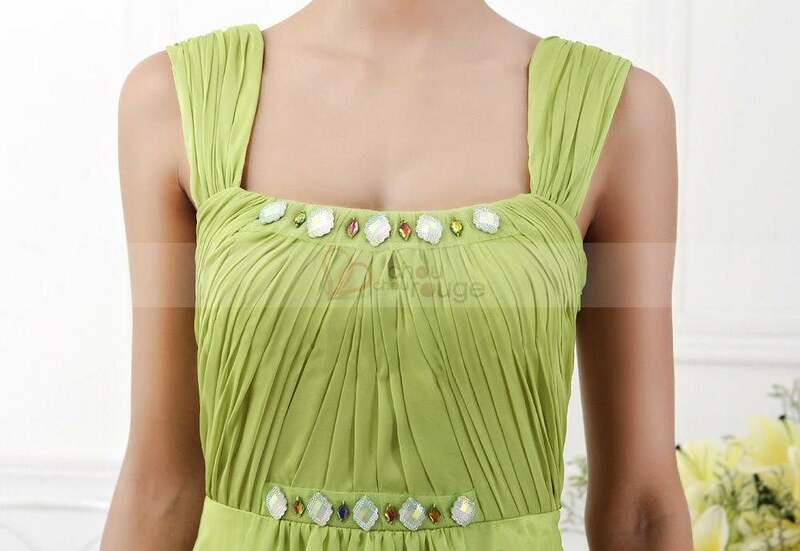 No doubt you will be a very beautiful woman choosing to wear that green evening dress strapless with its careful folds and these rhinestones on bust. The delightful style will make holiday evenings a real fashion show. By decrypting the beauty of this dress with asymmetrical strap and folds, we can see that the folds increasing the elegance and adds a great sublimity. The perfection of the position of the folds on the bust is very accurate; same thing at the waist and full skirt. With the single strap side of the red dress, it is in a youthful and forwards probably the woman who will wear it. In addition, the soft evening dress folds Chouchourouge is designed in chiffon with an attractive color, color glamour.